The lineup has been revealed for Ring of Honor and New Japan Pro Wrestling's G1 Supercard at Madison Square Garden. NJPW announced the card for the show at their post-New Japan Cup press conference overnight. The most significant additions are Tetsuya Naito vs. Kota Ibushi for the IWGP Intercontinental Championship and Zack Sabre Jr. vs. Hiroshi Tanahashi for Revolution Pro Wrestling's Undisputed British Heavyweight title. Ibushi eliminated Naito from the New Japan Cup, while Tanahashi eliminated Sabre. Kazuchika Okada defeated SANADA in the New Japan Cup finals and will challenge for Jay White's IWGP Heavyweight Championship at G1 Supercard. 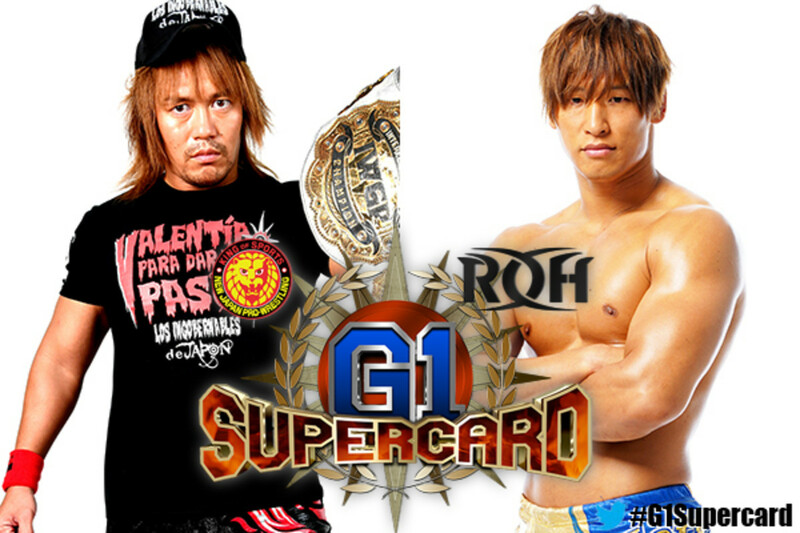 Two teams have been added to G1 Supercard's Tag Team title vs. Tag Team title match. It will now be IWGP Tag Team Champions Guerrillas of Destiny (Tama Tonga & Tanga Loa) vs. Villain Enterprises (PCO & Brody King) vs. The Briscoes vs. EVIL & SANADA, with the winning team getting the IWGP and ROH Tag Team titles. Will Ospreay and Jeff Cobb's title vs. title match has also been confirmed. The winner will get the NEVER Openweight Championship and ROH Television title. Women of Honor World Champion Mayu Iwatani will again defend her title against Kelly Klein. Iwatani won the championship from Klein in February and then retained in a rematch at ROH's 17th Anniversary pay-per-view. The Kagetsu & Hazuki vs. Hana Kimura & Sumie Sakai tag match that Stardom and ROH teased for G1 Supercard has yet to be announced. Jushin Thunder Liger, who revealed earlier this month that he's retiring at the Tokyo Dome in January 2020, has been confirmed for the Honor Rumble match that's taking place on the G1 Supercard pre-show. There will be 30 entrants in the Royal Rumble-style battle royal.